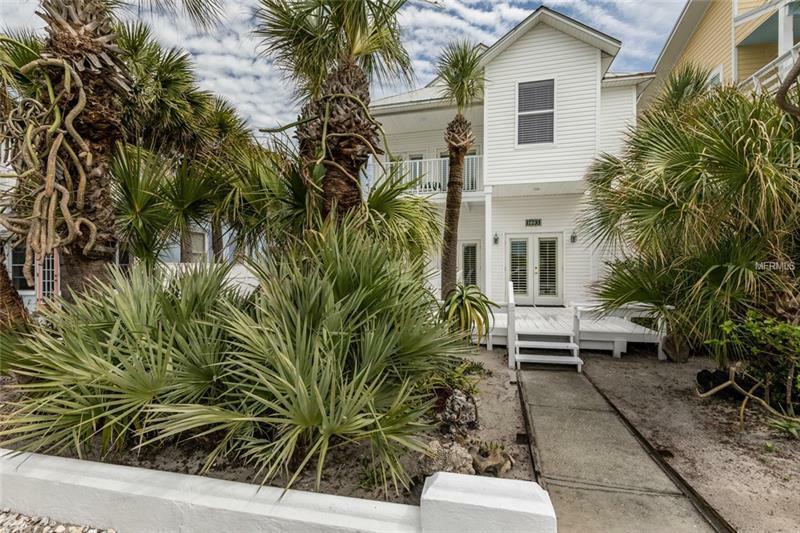 A rare opportunity to own a Pass-a-Grille beach house with fabulous views of the Gulf of Mexico. Built in 1920 and renovated in 1997 the 2 bedroom/2 bath home has hardwood floors throughout and Carrera marble in the Master bath. The deck and balcony off the master provide great outdoor living space to enjoy the beach life style. Located close to Historic 8th Avenue you are steps away from restaurants, shops and the attractions that make Pass-a-Grille the treasure that it is.